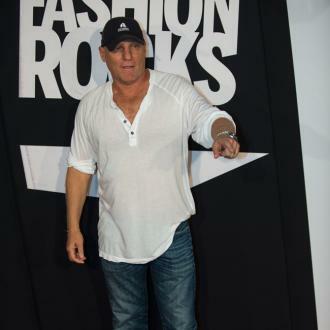 Steve Madden is desperate to release a new trainer line because he thinks the footwear style is a very popular trend at the moment. Steve Madden is desperate to release a new trainer line. The 59-year-old fashion designer has revealed he is already thinking about his next project and dreams of entering into the ''sneaker business'', because he thinks the style of shoe are the most popular trend across the globe at the moment. But the star is also looking forward to seeing ''more sneakers'' and short boots make a comeback in the upcoming months. When asked about what styles he is most looking forward to seeing, he said: ''More sneakers and booties. They call short boots 'booties.' One of the newest features on the boot is the side zipper. In the old days, you had to sit down, lace them all up and now you just reach your foot in and zip them up and boom! It's taking a little utility influence and putting it into fashion. The American mogul opened a store under his eponymous label in New York's Times Square last month, which stocks only men's footwear, and the muse has revealed he decided to launch the new branch because he felt men were being ''shortchanged'' and his women's footwear designs were much more exciting. Speaking about his latest venture, he explained: ''I felt that men were getting shortchanged. We were putting all the excitement into women's.